Looking back through my backlog of possible blog-worthy images, I came across these three items from this past Spring. It never fails to amaze me how rampant ads that directly reference the commuting experience are. 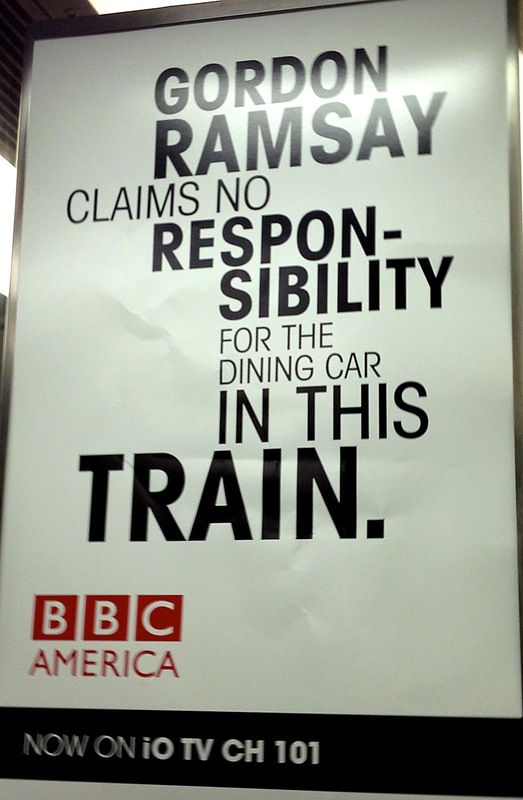 Do I really need to point out these trains don’t have dining cars? Not altogether awful. But still overdone. I don’t get this one. It’s for hotels. 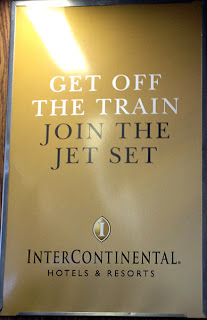 So I’m supposed to get off the train, and go to a hotel, in the town I live/work in, which somehow puts me among the jet set? Your logic may be a little flawed. 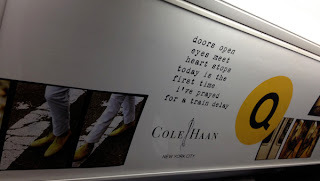 In summation: Please, copy writers, can you just stop already with the commuting/subway vernacular ads? How often must I say it? Believe me, I get it; I’m one lazy dude. But there’s plenty of interesting—as opposed to hackneyed—ways to be lazy. Just look at sloths, for example. 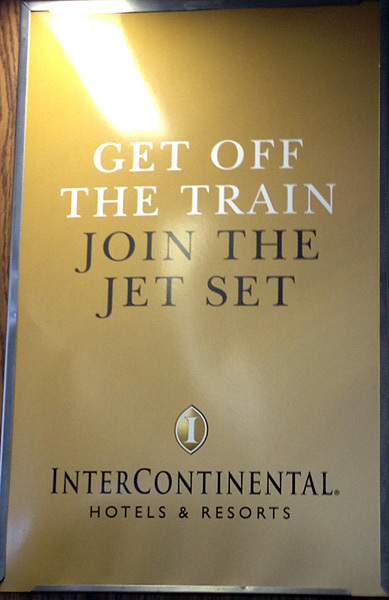 Here is another Intercontinental ad that was up in the bay area. (Not on every corner). The typography feels awkward and the whole thing looks like they spent 5 minutes on it. 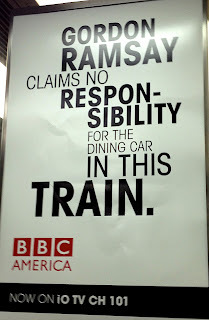 Not loving the direction of this campaign so far!